GREAT INVESTMENT PROPERTY!One property TWO HOUSES, making this a multi-family property and also an income generating property. Rent out both houses or live in one and rent out the other for a GREAT INVESTMENT! 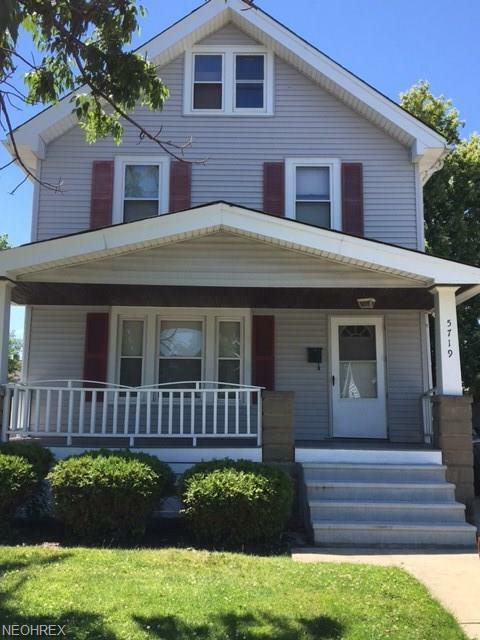 Can be used as a Mother-in-law apartment!FRONT HOUSE: Colonial style home, hardwood floors throughout - 4 Bedrooms, 1-1/2 Bath - ceramic tile, Living Room, Dining Room, Kitchen - ceramic tile. Full unfinished basement.REAR HOUSE: Cape Cod style home, 2 Bedrooms, 1 Bath, Living Room, Kitchen. Full, unfinished basement.UPDATES:FRONT HOUSE: Newer bath, both toilets new, newer front porch, new furnace, new hot water tank, everything freshly painted and in GREAT shape!REAR HOUSE - Newer roof, newer front porch currently leased.This property is in a perfect location, near schools, minutes from I-480 and 15 minutes to downtown. Very easy property to lease! One year home warranty included for your peace of mind.